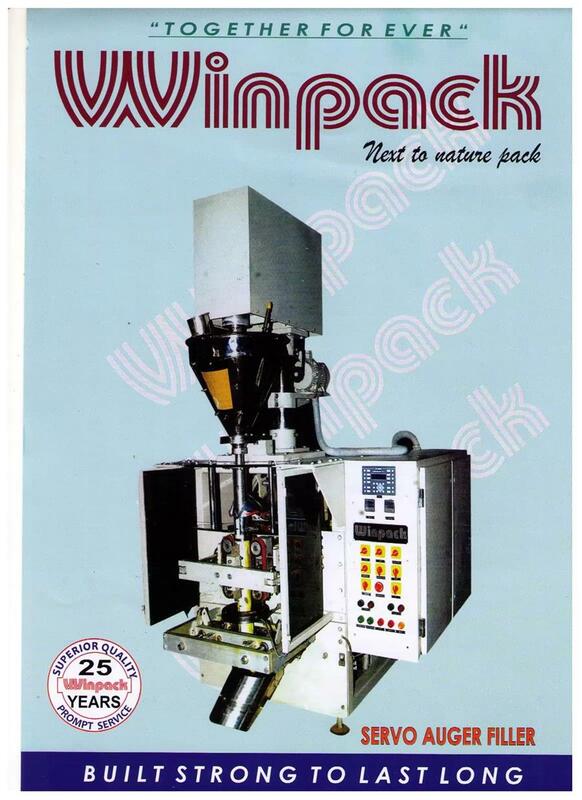 WINPACK is manufacturing Servo Auger for packing Powders, from 10grams to 10kg using imported servo motors, drive etc in Laminated film or LD film. We have supplied the machine in India and abroad. We are also providing Gusset system for smaller range upto 2kgs. We can also provide carry bag system for 5kg and optional items are Date coding devise,. The machine is operated through PLC and HMI.